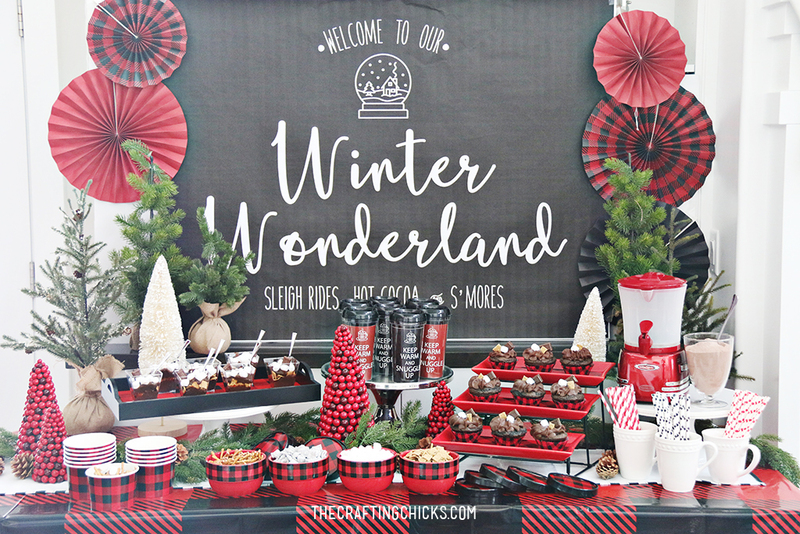 Add this Winter Wonderland Backdrop Printable to any winter party you throw. 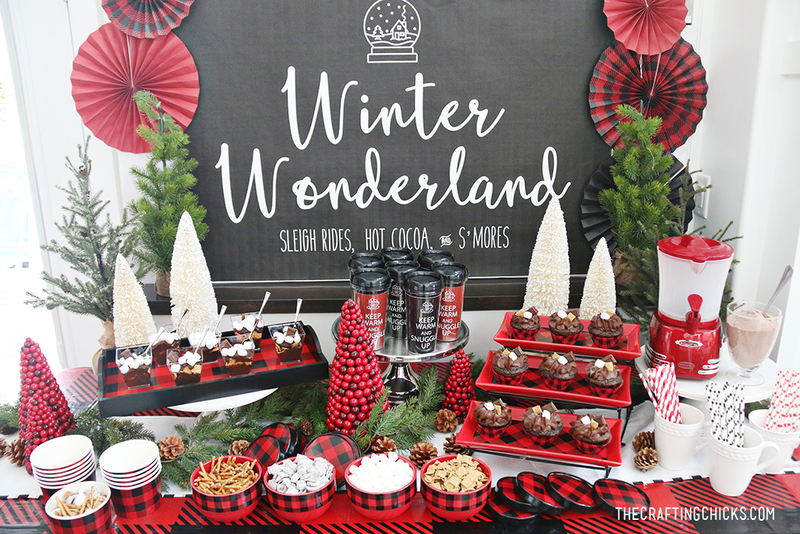 This large format printable is beautiful and will make the party table stand out. We had so much fun throwing our Couples Hot Cocoa and S’mores party. Planning a time to celebrate with your significant other and friends is a great way to spend date night. We loved using Buffalo Plaid for the party theme. The red and black was so much fun to mix together. We love red, since it is the color of love. It just took this party over the top. We knew that we wanted a fun, but simple backdrop for the food table. Nikkala designed this one for us and we couldn’t love it more. We popped it with some of the fun Buffalo Plaid Hanging Fans from Oriental Trading. To download your own Winter Wonderland Backdrop Printable just click on the box below. It will print as large as 36×48. You’ll want to upload it and send to your favorite copy shop. We usually use Staples. Just upload it as a large format print. It should cost around $8-9. All printables are property of The Crafting Chicks, LLP. Not for sale or commercial use. For personal use only. Do not alter or claim as your own. 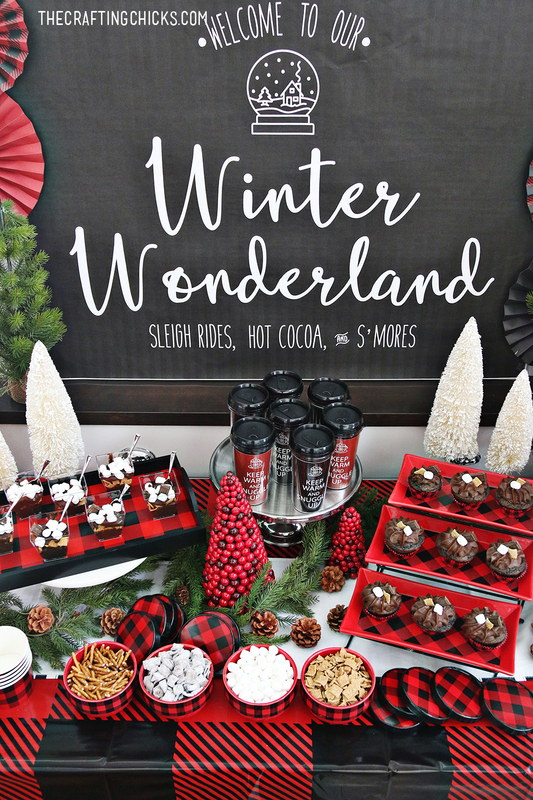 Make sure you check out the rest of our Couples Hot Cocoa and S’mores Party.